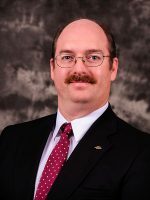 Gerald A. Miller-Ohrmund has served as a Funeral Director at Informed Choice Funeral & Cremation Alternatives since 2004. He received his Associates Degree in Mortuary Science from Milwaukee Area Technical College and is a Dale Carnegie Course Graduate. In 2003, he also became certified in Crematory Operation. Gerald has held a Wisconsin Life Insurance License since 2009 and is an Intermediary for Funeral Directors Life Insurance Company.